Our Automotive Poly Key Tags are the simplest and most convenient way to organize all the cars in your dealership. 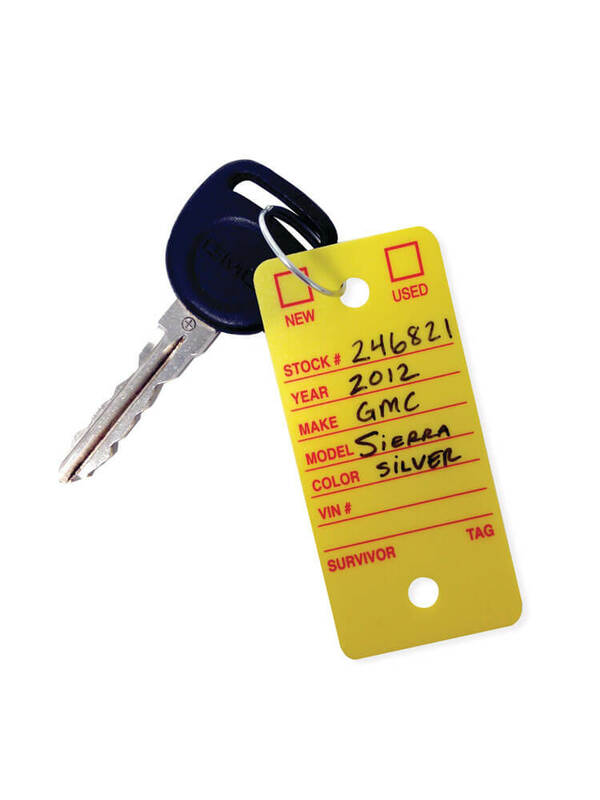 Buy your auto dealer key tags today and stay organized. Automotive Poly Key Tags are available in both white and yellow. Our Automotive Poly Key Tags will not only help you organize all of the cars at your dealership with ease, they are also incredibly tough and durable to ensure they last a long time. With these key tags, automotive dealers can enjoy rounded corners for greater comfort when holding or carrying them. And with sections included to write all the details about your cars, they are all you need to keep your cars in order. 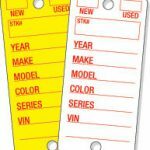 Keeping your cars organized is easier than ever with the Automotive Poly Key Tags. 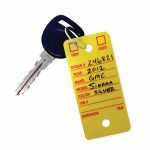 We have other key tags in our store that you might prefer, so don’t forget to take a look at our Self-Laminating Auto Dealer Key Tags and Econo Auto Dealer Key Tags. We deliver to anywhere in the USA in between 1 and 5 days, so you can be sure you’ll get your hands on your Automotive Poly Key Tags in no time at all.